Some of the UKs newest computer programmers were given a boost this week, when their school coding club received £1,000 worth of equipment from Bango. Bango decided to help the ‘Park Street Hacker Elite’ coding club at Park Street Primary School in Cambridge after the children (aged 7-9) wrote a letter asking for support to buy coding equipment before Christmas. The financial contribution from Bango was used to buy screens, cables and other accessories for the 5 brand new Raspberry Pis which the school won in the ‘Hour of Code’ competition run, by the Raspberry Pi foundation before Christmas. At the moment, the hackers are learning to code on a simple programme called Scratch, but Mark hopes with the new equipment and support from Bango’s developer Simone Masiero that the children will be using much more sophisticated coding language by the end of the year, and could progress onto robotics and other really creative Raspberry Pi projects. 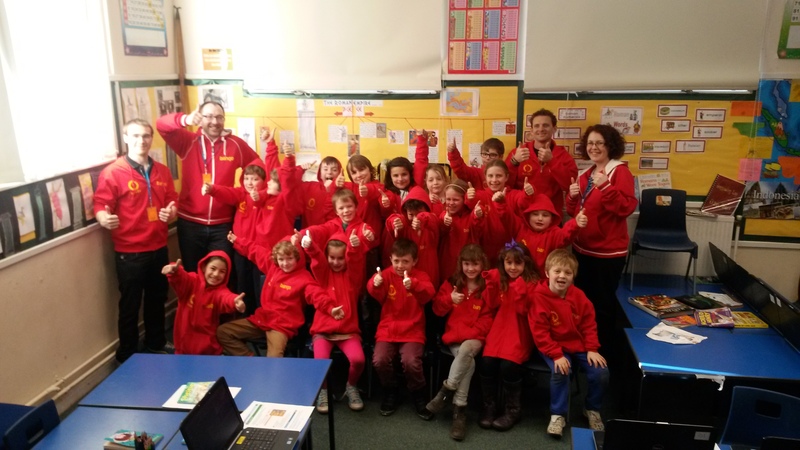 Bango also supplied the children with smart hoodies like the standard-issue hoodies worn at Bango HQ. These were presented to the kids at the club on Tuesday, along with the equipment purchased with the donation. Bango looks forward to seeing the development of the children’s coding skills and plans to continue its close ties via both volunteer developer Simone Masiero and regular contact with the club itself.